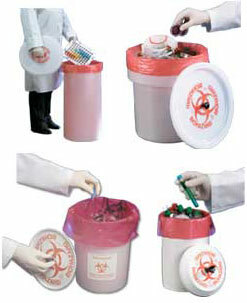 Whitney Medical Solutions' Biohazard Starter Sets provide the tools you need for implementing an infectious waste management program. Sets consist of a reusable container & close-fitting lid with international biohazard symbol, 100 autoclavable bags sized to fit container, 100 closures, and instructions. 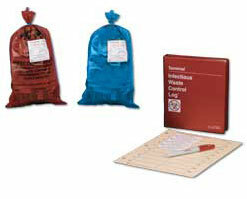 Sets are available with red bags printed with the international biohazard symbol or unprinted blue bags. 2 L - 9" x 17"
7 L -14" x 19"
18 L -19" x 23"